I am so excited to be jumping in as a Poppins Book Nook Co-Host! 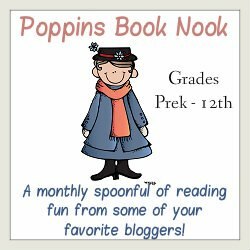 Poppins Book Nook is a free monthly virtual book club that takes place on the last Monday of each month. Several bloggers will be sharing books and activities to go along with that month’s theme. You are invited to join and share right along with us! 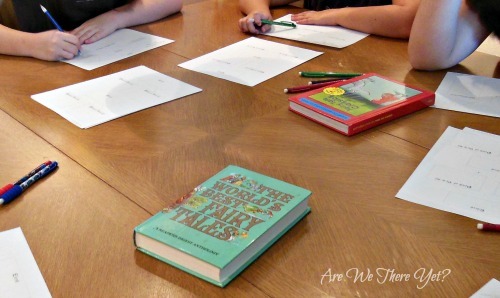 As soon as I saw that the theme for August was Fairy Tales, I knew I wanted to do a fractured fairy tale activity. 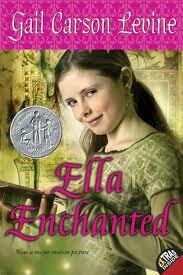 Fractured fairy tales are the flip side of the story, told from a different point of view. 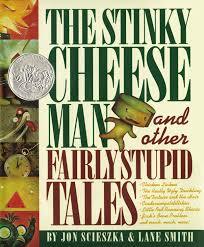 We had a laughter-filled storytime and then the kids set to work creating their own fractured fairy tales. They first chose a classic story and then had to decide whether to flip it or rewrite it with new characters. 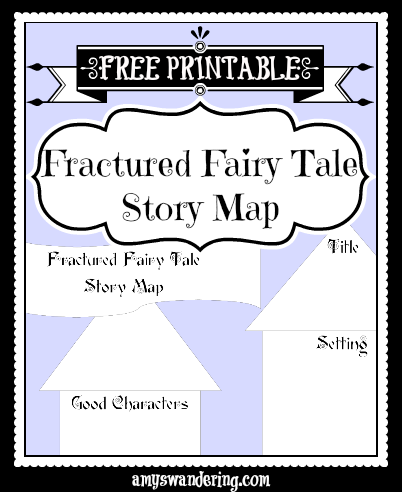 I supplied them with a couple of fairy tale collections for inspiration and a Fairy Tale Story Map that I created. The Bear Gets Back At Goldilocks – Papa Bear clumsily wrecks Goldilocks’ stuff while she is out having tea with Mama Bear and Baby Bear. Fairy Tales: What Really Happened – The Tortoise and the Hare – The tortoise is the jerk in this story and has secretly set traps for the hare along the race course. The Real Story of Goldilocks and the Three Bears – Baby Bear’s job is to lure kids into the house so his family can eat them. 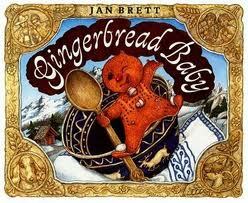 Goldilocks escapes and the three bears make up the original story when the police start investigating. 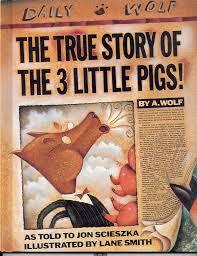 The Three Stupid Pigs – The three little pigs all have brick houses to keep the wolf out, but they are so dumb that they each open the door and let him in when he knocks. We rounded out the day by watching Hoodwinked. You can watch Fractured Fairy Tales for free on Hulu. I remember seeing these as a kid. Follow Poppins Book Nook on Facebook & Pinterest! Enchanted Homeschooling Mom – 3 Dinosaurs – Monsters Ed – Chestnut Grove Academy – Growing in God’s Grace – Royal Little Lambs – Life with Moore Babies – Teach Beside Me – The Usual Mayhem – Mum Central – Fantastic Fun and Learning – Kathys Cluttered Mind – Toddler Approved – Growing Book by Book – Adventures in Mommydom – B-Inspired Mama – The Fairy and The Frog – Edventures with Kids – Learning & Growing the Piwi way – A Gluten Free Journey – No Doubt Learning – Preschool Powol Packets – To The Moon and Back – Our Craft ~N~ Things – Fresh Farm Adventures – Are We There Yet?